Anguilla (Eel) Island, Br.Leeward Is. 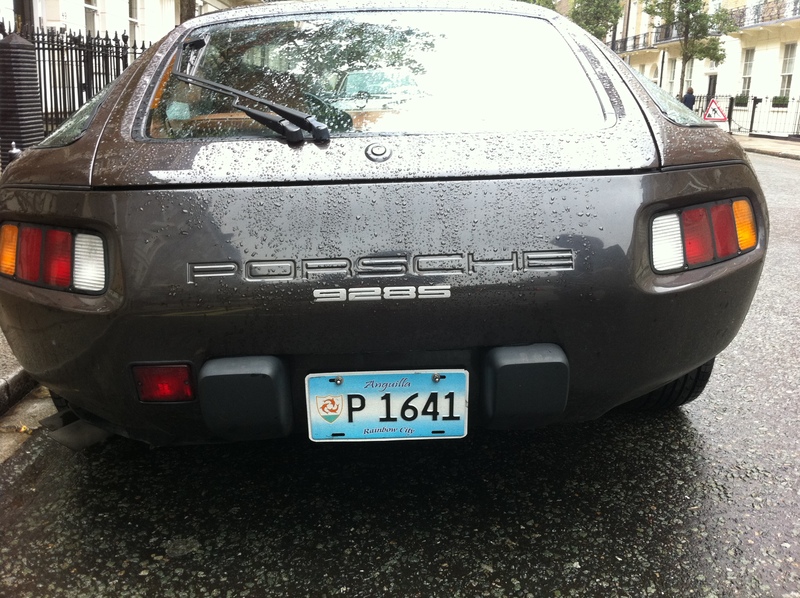 The remarkable (and first) sighting of a vehicle outside its own border, from the tiny island territory of Anguilla, was made in central London in 2011. 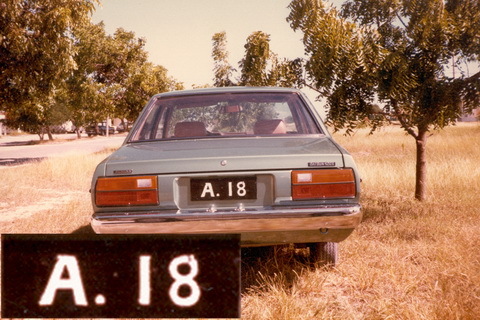 It sported the new plate design and an international oval never dreamt-of – AXA ! 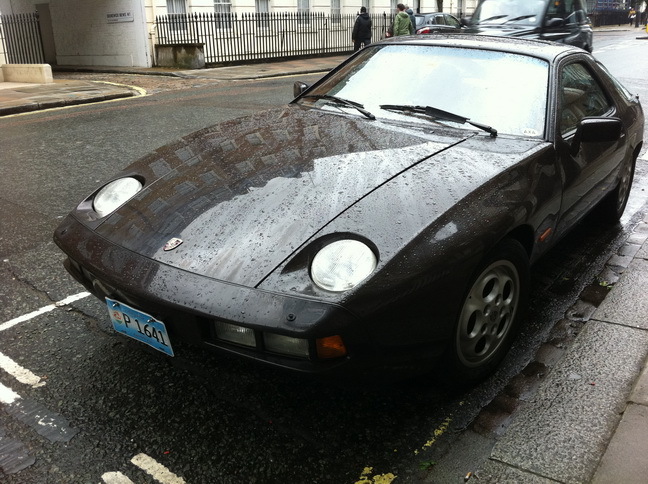 At least one other Europlate member saw it in ensuing weeks, and interviewed the driver, who told him that he had brought this car and other Porsches back to Britain several times over the years! (evidence, please) If so, the membership had missed his visits! The most up-to-date systems have been introduced to control the few registrations which exist on this tiny, quiet, low-lying isle. 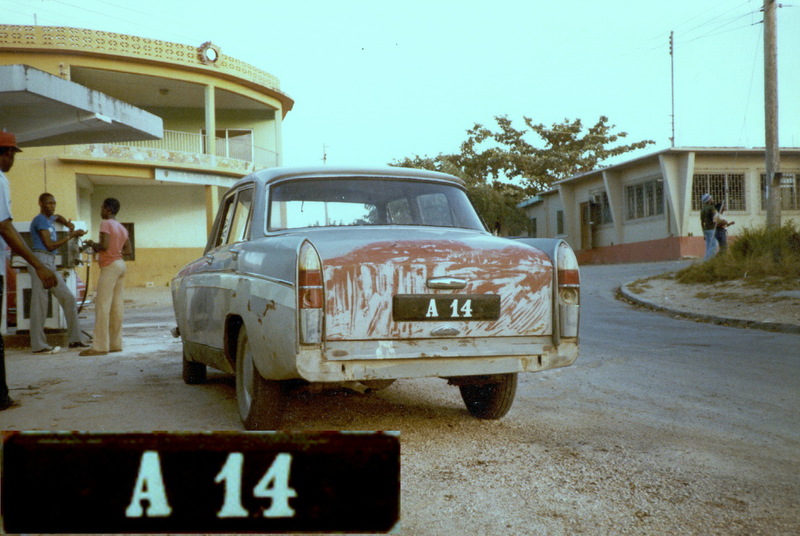 In December 1981, when the writer visited, and long before the technicolour plate revolution of 1997, Anguilla was using painted plates, often on plywood backing, there being so little steel or aluminium material from which to make up plates. Often they were painted direct on the old vehicles. A plate I acquired there, A 402 (no photo), was painted on the obverse of a Gibraltar pressed-alloy from a VW which had been imported therefrom. 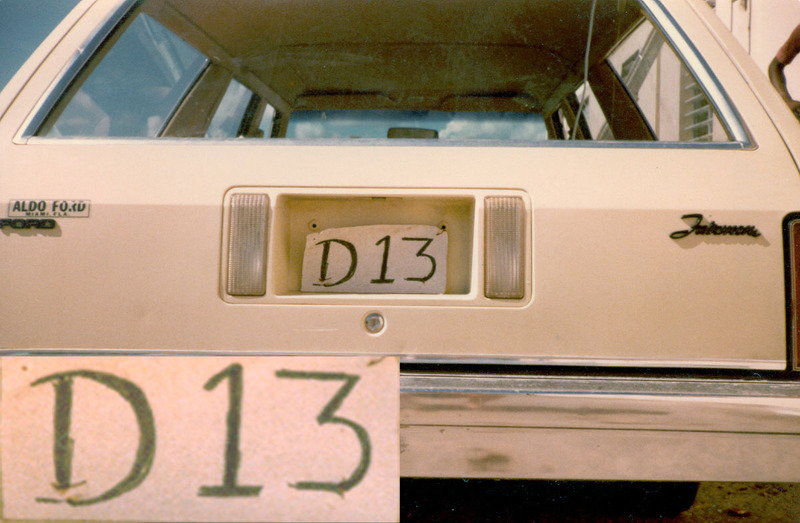 1980S: A typical painted wooden plate A 1216, on a Morris Marina, the worst British car ever made. The system of suffix letters to differentiate vehicle classes is a simple and clever one. 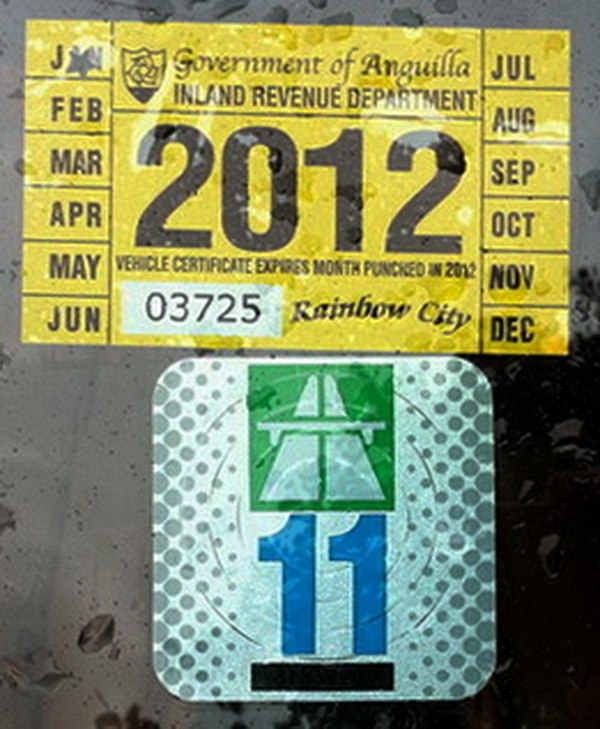 When the registration status of a vehicle changes, such as the withdrawal of a car from a hire fleet, the suffix letter ‘R’ is removed from the plate and the normal Private plate is now on show – or, the addition of a new ‘T’ converts the car to a Taxi. Why such a remote place as Anguilla should have originated such a practical scheme is indeed a compliment to someone in a back office. 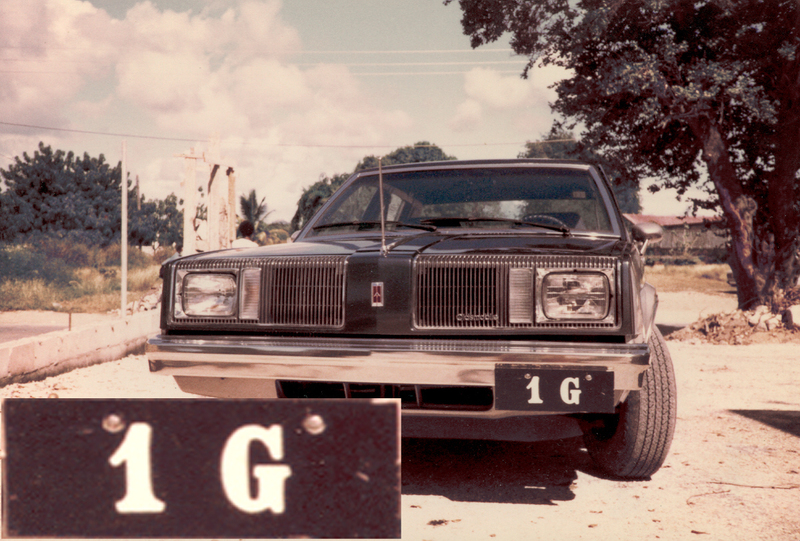 Trinidad uses something similar, but their vehicle class is the leading letter on their plates (T-AH/P-CF, R-BB etc.) rather than the final letter which seems somehow tidier to the writer. Most countries of the world use a variety of significantly more complicated or costly methods to split up their national fleets in to types – to the delight of codebreakers everywhere and of Herr Utsch’s bankers. 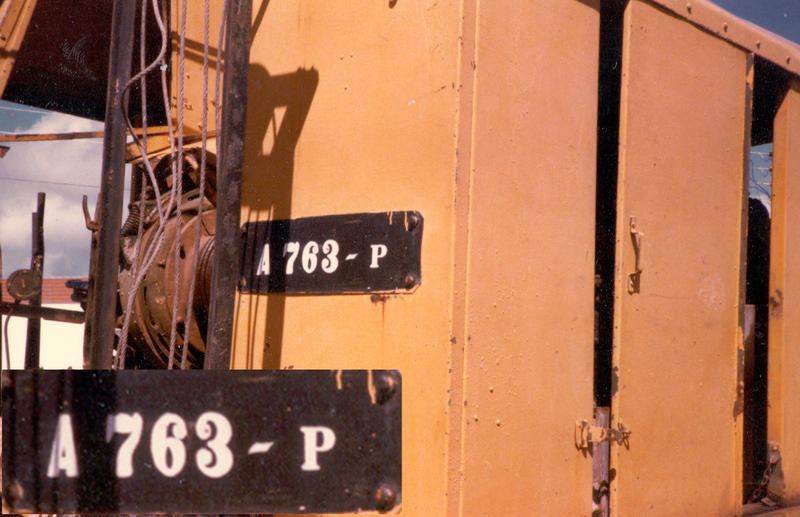 Another bright idea on Anguilla was to use the A prefix rather than a simple numeral. Many of the British Caribbean territories commenced licencing with a number-only registration, so that there was no differentiation between the territories. Then most added a ‘P’ for Privately-owned vehicle and that didn’t help either! The Administrator on St. Kitts, Nevis, Barbuda and Anguilla had the wit to impose codes CN & A. 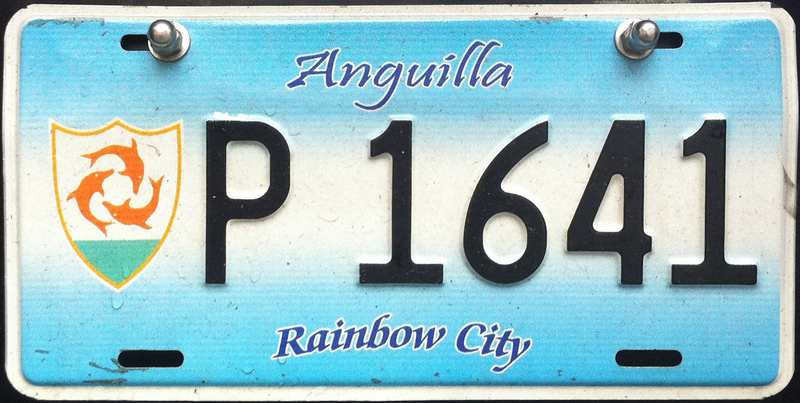 The Anguillan registration number is given to the owner and not to the vehicle, so that he may retain his first licence-plate for use on a succession of cars. This can account for the many low numbers still seen in circulation in 1991. When did the suffix-letter idea begin in Anguilla? 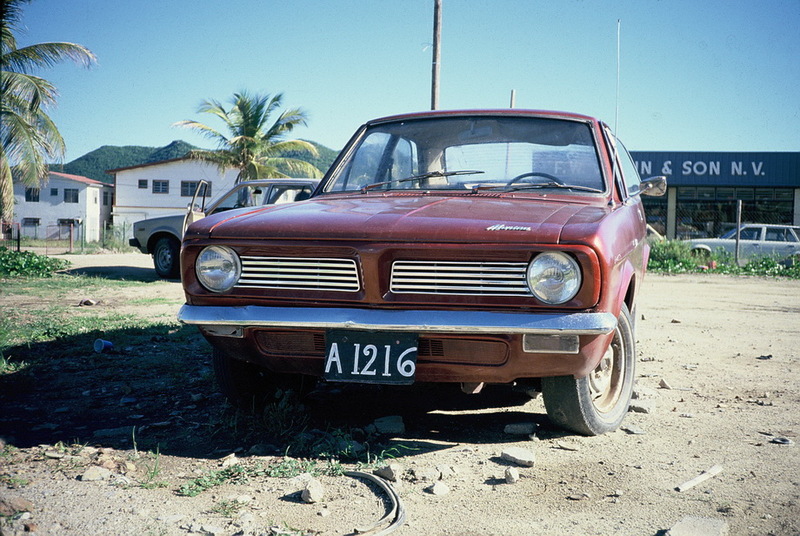 It was never used in St. Kitts & Nevis, with its CN prefix, to which Anguilla had been politically bound from the beginning of motoring until 1980. Was it running its own suffix system during the St. Kitts years, and if so, when did it start? Indeed, how necessary was it to even employ differentiated plates on an island where there were so few vehicles and everyone knew whose car or moped was passing each day? It was always one of their cousins! And so we wonder about the past…….. This entry was posted on Sunday, April 7th, 2013 at 10:35 pm and is filed under Anguilla, Caribbean, Leeward Islands W. Indies, West Indies. You can follow any responses to this entry through the RSS 2.0 feed. You can leave a response, or trackback from your own site. 2 Responses to Anguilla (Eel) Island, Br.Leeward Is. 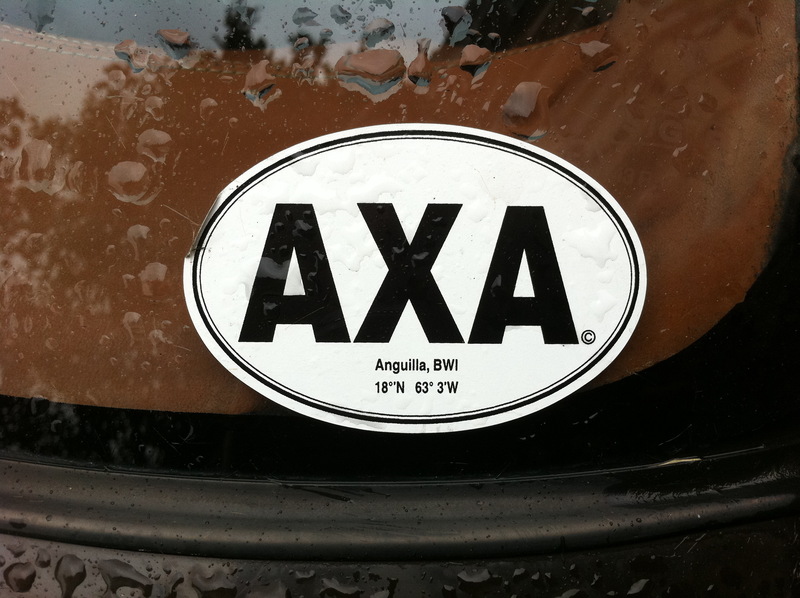 AXA is the code for Wallblake Airport, Anguilla. This has been seen on plates of other islands, e.g., SBH for St Barthélemy. A very interesting email was received as a result of this posting, possibly written by the owner of this car and plate. By a computer accident, it was erased before it could be added to this Post. IF the correspondent reads this, might he be so kind as to re-send his most interesting notes?